When this many balls are up in the air, it becomes very easy to drop some of them (and sometimes, once they fall you forget to pick them back up!). To make sure that don’t miss a beat and keep on top of your apps–and, most importantly, submit them on time and well done–you need to get organized. And you need to do it before you even fill out your first application form. Make a list of your schools. Then you won’t have to worry about remembering the name of each institution you’re considering. The less clutter in your brain, the more clearly you’ll be able to think. Make a list of application deadlines–and also a list of when you’d like to have your applications submitted. The two are not always the same and, the earlier you can apply to a program, the better. Many programs practice rolling admissions or staggered deadlines, which means that your application will be looked at (and a decision potentially made on it) well in advance of the official final deadline. Applying early can give you an edge, since fewer admissions decisions will have been made, and there are more seats left in the incoming class. Having a list of deadlines will also give you an idea of how long you have to get everything completed, and when the absolute last date to everything in is. Make a list of what you’ll need to submit for each school. Some schools want you to write three essays, while others only need one. Some may require you to submit samples of your research, while others want an in-person interview. Some will require 3 letters of recommendation, while others make it optional or request only one. The requirements can get confusing and overwhelming, so write them all down so that you can keep them straight, and not forget anything. 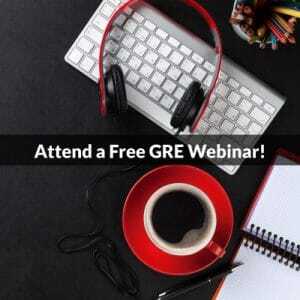 Establish when you are taking the GRE, and what you’re doing to prepare for it. 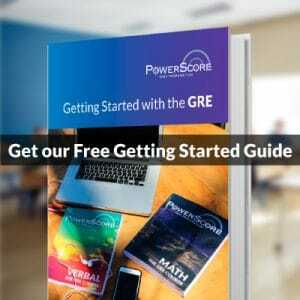 Are you going to take the GRE before you do anything else? Are you doing to do it in the midst of preparing your applications? Do you want to wait until you’re done with your apps before you take it? These are all things that are important to consider. And how will you study? Will you take a course? Use books? These decisions can alter your timeline, so figuring them out ahead of time can help you plan. Determine whom you will ask for recommendations. Don’t wait until the last minute! Getting these letters can be the most time-consuming part of your application! Decide if you’ll be getting an application consultant. If you are, the sooner you do it, the better–as deadlines get closer, consultants become booked, and they may not have availability to take you on. A consultant can provide invaluable insight to your application, and can help you craft an exception application package–but only if you start early. The importance of keeping tabs on all the different elements of your grad school apps cannot be underestimated. Take the time to make lists and know deadlines and components before you formally start the process, and you’ll reap the rewards in the long run.